Pataua Fiji at its best. 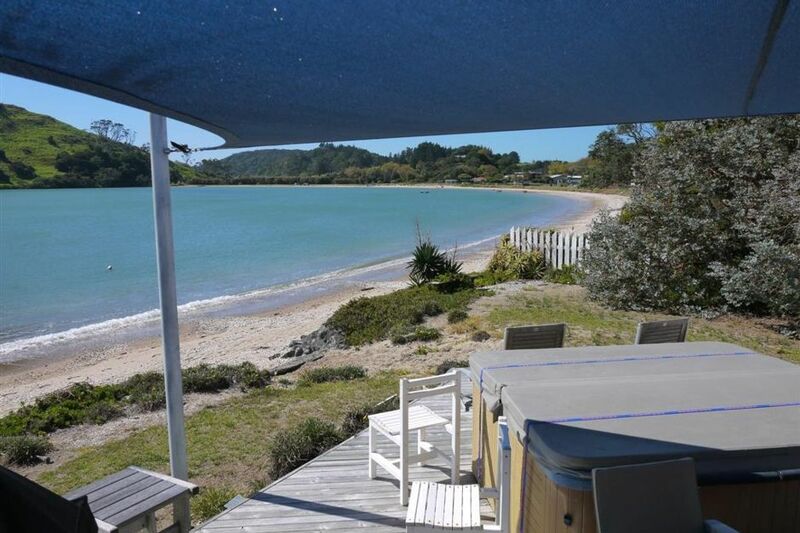 Seeing is believing and it doesn't get much better than this beach front Bach with views due north straight out of the estuary. Quiet serene fun filled holiday area with walks surfing fishing swimming safe for the whole family. There is also a camping ground and a shop with hot bread takeaways and all the essentials just a 5 minute walk away. If you need a city fix then Whangarei is just a 30 minute drive. Pataua South has an all weather concrete boat ramp and the Bach has two moorings in front of the Bach. There is plenty of off road parking for cars and trailers . Pataua is a destination so there are no cars or travelers passing through as it is the end of the road so this makes Pataua a very safe environment for a relaxing holiday. Spa Pool - Cleaned and filled with fresh water for each new booking. This pool is 100% saltwater, No chemicals. Minimum charge $150, please enquire at time of booking. The location deserves your full attention! Pick up groceries and stay for a week to completely chill out, relax and recharge.